A group that sees enterprises and even consumers setting up their own LTE-like networks now has a formula to work from. 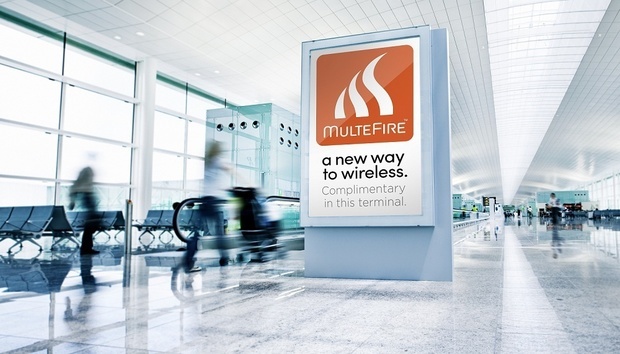 On Tuesday, the MulteFire Alliance announced MulteFire Release 1.0, which defines an LTE-like network that can run entirely on unlicensed spectrum like the frequencies Wi-Fi uses. In some cases, it may be an alternative to Wi-Fi with more capacity, better security and easier handoffs from carrier networks, Alliance President Mazen Chmaytelli says. Users could include businesses that need highly predictable networks for time-sensitive industrial applications, stadium owners looking for a simpler way to speed up wireless for fans, and eventually consumers networking their homes. But none of these will happen overnight. Unlicensed and newly shared spectrum are expected to be vital for the continued growth of mobile services, including 5G, because more spectrum provides room for more capacity. Carriers are already starting to extend LTE beyond their own licensed frequencies in order to take advantage of unlicensed and shared spectrum. That’s sparked controversy in the case of LTE-Unlicensed, a system for use in conjunction with licensed bands. MulteFire works without any licensed frequencies, so just about anyone will be able to use it. "MulteFire really opens up the promise of targeting new constituencies," said analyst Peter Jarich of Current Analysis. The 1.0 release is a well-timed sign that the group is moving forward as next month's Mobile World Congress trade show approaches, he said. MulteFire is set to be demonstrated at MWC. The group has strong backing. MulteFire began with work at Qualcomm, but the Alliance includes Intel, Nokia, Ericsson, Cisco Systems, Huawei and other big network vendors. Wi-Fi vendor Ruckus Wireless, also a member, last year announced an LTE-based system called OpenG and said it would be made compatible with MulteFire. One place MulteFire might appear is in an underground mine with a train that needs to be remote-controlled with exact timing. LTE can do that better than Wi-Fi, Chmaytelli said. Another site might be a hotel or office building where the owner wants to offer faster indoor wireless. It’s easier to shift phones from a carrier’s outdoor network to the private indoor system with MulteFire than with Wi-Fi, because MulteFire is based on LTE, he said. And unlike an indoor cellular system that uses licensed frequencies, it will be simpler to reach customers of all carriers because they can all use one unlicensed band, Chmaytelli said. LTE-U was dogged until recently by worries about interference with Wi-Fi. With MulteFire, there’s less likely to be an uproar about that. It incorporates the “listen before talk” mechanism used in LAA (Licensed Assisted Access), a standard that LTE-U opponents have more readily accepted. The Alliance expects to have a certification framework in the middle of this year, and it's likely that trials will take place in the second half. The building blocks of MulteFire within LTE are essentially done, and once networks and devices ship with those, it should be a fairly easy step to make them work with MulteFire, too, Chmaytelli said. Still, the enterprise network industry is a pretty big ship to turn. Most enterprises don’t have experience with LTE, so the first MulteFire deployments are likely to be done by system integrators, Chmaytelli said. Wi-Fi remains the economical and familiar choice for most unlicensed networks. But the MulteFire Alliance expects its technology eventually to get cheap and easy enough even for consumers.